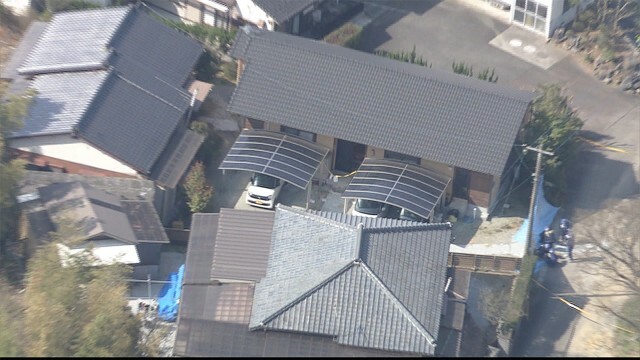 FUKUOKA (TR) – Fukuoka Prefectural Police believe that an elderly man fatally stabbed his son and injured his son’s common-law wife before attempting suicide at their residence in the town of Kotake on Monday, reports the Yomiuri Shimbun (Mar. 26). The woman and her husband were transported to a hospital with unspecified wounds. He was confirmed dead about one hour later. 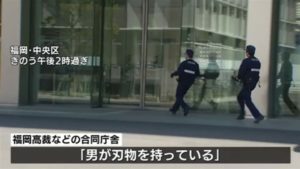 Meanwhile, the condition of his wife is not considered life-threatening, according to the Nogata Police Station. Upon the arrival of police, the woman said that she was stabbed by the father of her husband, who was later found collapsed with stab wounds in a room of the residence. The father, aged in his 80s, was also transported to the hospital in serious consideration. The woman and her husband live on property with his father. A knife that is believed to have been used in the crime was also found inside the residence. Police suspect that the elderly man attempted to take his own life with the knife after stabbing his son and his wife during a domestic dispute. Once he recovers from his injuries, police will question him on suspicion of murder.